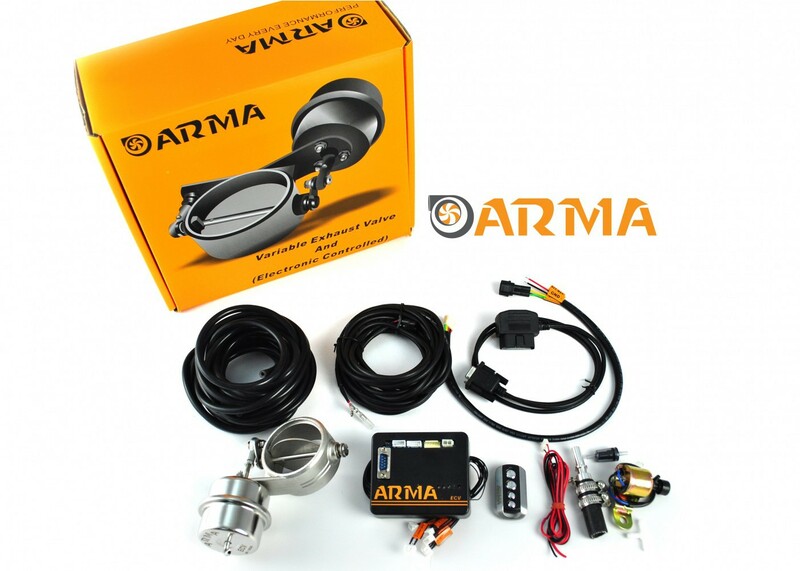 Arma Speed exhaust valve, remote control, OBD rev sensing, smartphone controlled. 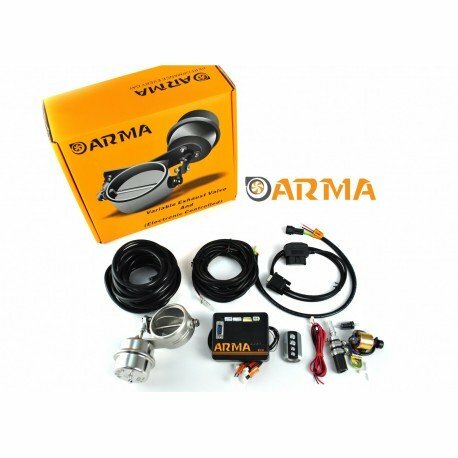 63mm / 2,5"76mm / 3"
The ARMA variable valve system is designed for cars without a valve system as stock. A valved exhaust allows to switch between two levels of sound and back-pressure. A valved intake allows two levels of air flow, to optimize the power delivery at low and high rpm. 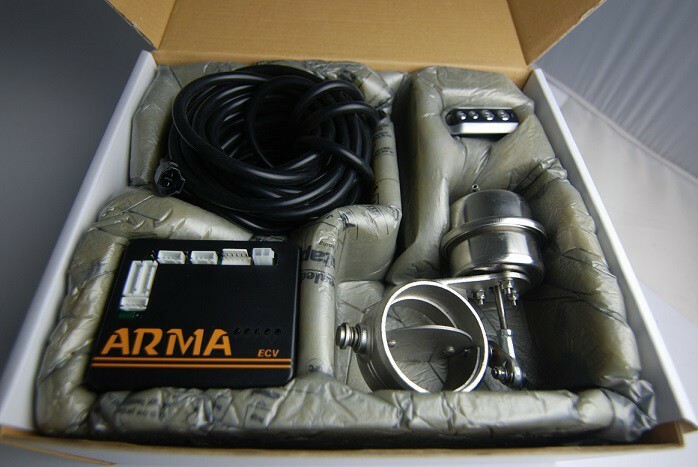 2) The control unit is avalable with the classic remote control system, open/close, but also with a dynamic mode that opens the valve based on the RPM. A custom rev level can be set up. The revs on the engine can be read by direct wiring or by OBD (optional). 3) The control unit can open / close two valves independently. This is interesting if you want to fit both a variable intake (Armaspeed offers a range of products) and exhaust, or if you want to built a 3-modes exhaust. 4) The control unit is available with a wifi option, which allows to control the valve by smartphone, using a specific app available for iPhone and Android. The same app also give information about the engine if the unit is plugged through OBD.